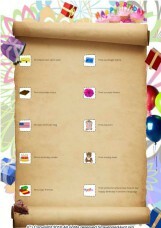 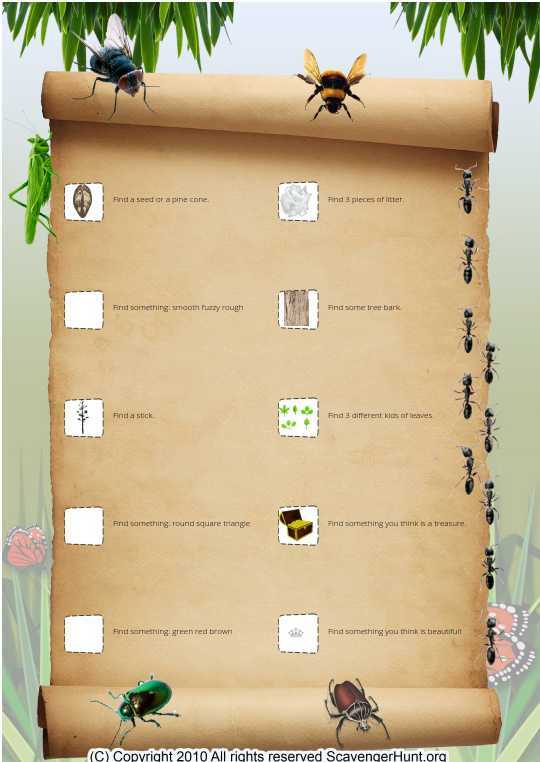 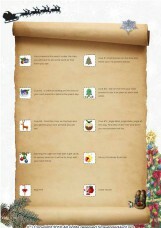 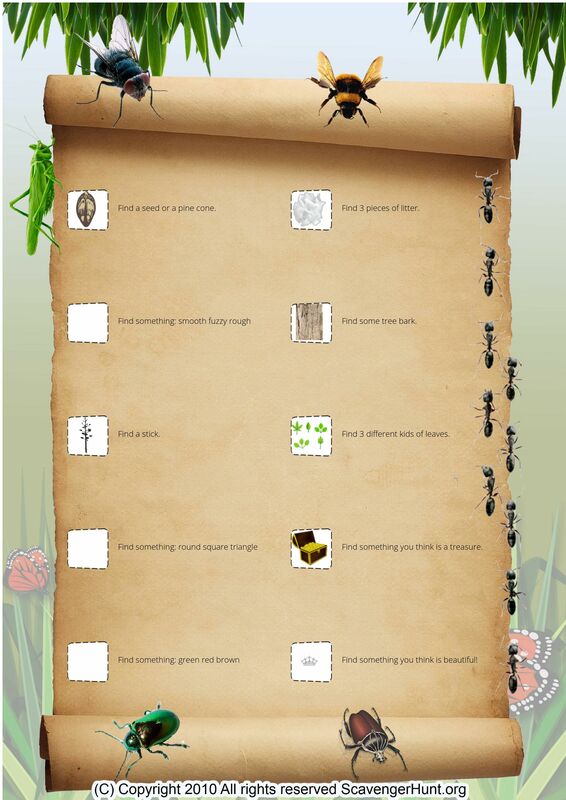 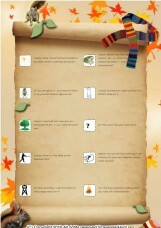 This is a insects themed scavenger hunt game intended for Primary school, and played Around school. 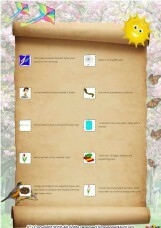 Find a seed or a pine cone. Find 3 pieces of litter. Find 3 different kids of leaves. 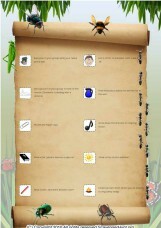 Find something you think is a treasure. Find something you think is beautiful!